The Black Healer is here...it is the version 1.2, the first after the prototype series. 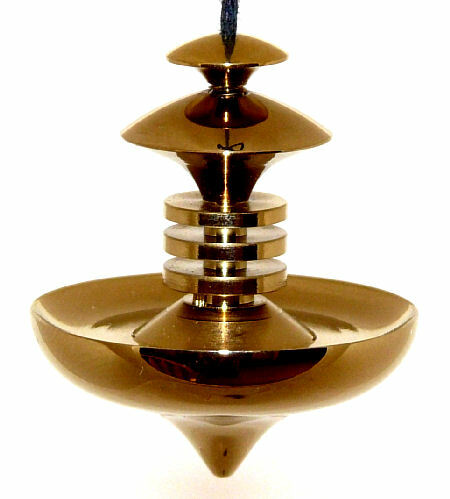 It was inspired by the research of the Keshe Foundation and it incorporates copper coils individually covered with layers of nano material and its action is based on the interaction between magnetic and gravitational fields, I don't believe it was ever tried in dowsing and energy work and the results are quite intriguing and it may become a new standard in energy tools. It's 2.5" long from tip to tip and it weighs 0.9 oz. Everything is done by hand, the creation of nano layers requires 4-6 weeks under special conditions, this pendulum is like an intelligent being and reacts to thoughts and emotions! It follows the principles of Golden Ratio. Test it's abilities to control pain, to heal, balance, send a particular color, communicate, etc. 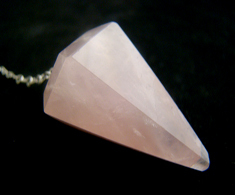 Use it as a regular pendulum or as a wand, by pointing it towards the area that requires attention. As with any new pendulum – your opinion is very important! Here are some early TESTIMONIALS, please note that these were for the early prototype series, they were larger and made slightly differently, but using the same principles. “What I have found interesting about the black healer is that it connects to one's auric field well and has a defensible field to it if intended. I sleep with it inside a silver thread glove and found that both the lucid dreaming and astral projections more stable and less training. In everyday techniques, it's very accurate and maybe a bit too strong for certain animals, like pet cats! “I have been dowsing for nearly twenty years and would say that I am quite accomplished, in comparison with myself only, of course. I qualify myself this way because I was not thinking of myself as a beta tester when I ordered the Black Healer, but given that I have been working with the Black Healer quite a lot since it arrived, I actually feel confident about sharing my evaluations. I should like to start by stating that when I received your e-mail announcing the Black Healer with its photo, I felt compelled to purchase it, and when it arrived, my affinity for it was consummated, so I am, and have been, working with it under harmonious or naturally "ordered" conditions. With regard to using the Black Healer as a conventional dowsing pendulum, I find it to be too wobbly in being a bit unbalanced; however, I discovered that by hooking my pinky finger into the Black Healer's crown loop, I am able to use it for positive/negative evaluations, degrees, percentages, etc., simply by kinesiological interaction, meaning that I can "feel" a response, and most of the responses have been amazingly accurate. My overall opinion, however, is that using the Black Healer as a dowsing pendulum is not its best use, or rather is a supportive use only. My strongest intuition about the Black Healer is its use as not only a creative tool but as THE creative substance itself - the plasmatic prima materia. ". . . when energy transforms into primal matter, it begins by moving in a clockwise direction. As its speed increases, centrifugal force causes the energy to rise, and a vortex is formed. . . . The energy in the vortex eventually reaches an apex . . . and it implodes within itself. From the implosion another vortex is formed, and it moves counterclockwise, . . . Eventually it slows to a point where matter forms. It is the high-spin monatomic elements that are the first to form and eventually they move into more complex atomic states creating both inorganic and organic life." On macroscopic scale, I visualize plasma energy spiraling clockwise and upward from the tip of the Black Healer until I sense some sort of change in the nature of the energy; then I visualize the energy collapsing into the top of the Black Healer and spiraling downward, counterclockwise, until the desired effect, i.e., my intention, seems to "birth" out of the tip of the Black Healer where the energy initiated, thus completing a creation "circuit." I should mention that the second part of the visualization, the point of "implosion" and downward spiraling (gravitational pull toward the earthly sphere), comes easily, as though no longer being visualized, which convinces me that I am really on to something. I have been practicing this technique, fine tuning it and recording my impressions each time. Of course, I have not practiced long enough or even had the Black Healer long enough for "field work," so to speak, but it is my impression that significant healing, outright manifestations, and alterations of reality could all be effected in this way. I look forward to moving from abstract experimentation to direct practical challenges.